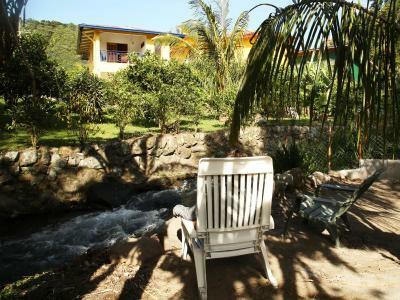 Lock in a great price for Hostal Gaia – rated 8.3 by recent guests! 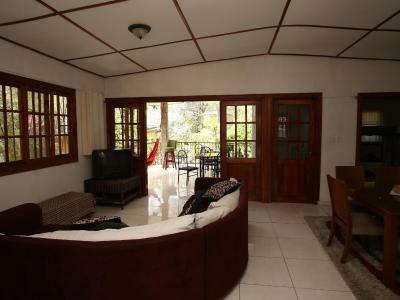 Very nice, conveniently located, easy walking distance to stores and restaurants, gated at night, felt safe, friendly staff, limited English speaking, common kitchen area was clean and very adequate, laundry service available, had no regrets or disappointments. Would stay again if we are in the area and would recommend to others. Beds were comfy, not worn or old. Reception staff were all very nice and helpful. Garden area with creek very peaceful. Quiet hostel. Basic accomodation. Good matrasses, thin blankets (which you need for the cold). 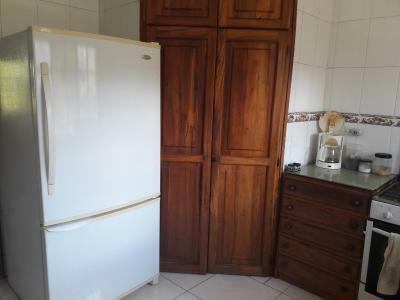 Free Coffee and use of kitchen. The location was lovely and the staff kind. We just were charged an extra $30 after arriving than the quoted price and we never really understood why. We expected to stay 2 days but ended up staying for 4. The town is so beautiful and the saff is great. 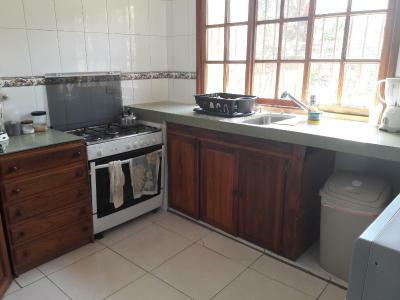 The kitchen is pretty small but as long as you stagger cooking with other travelers it does the trick. 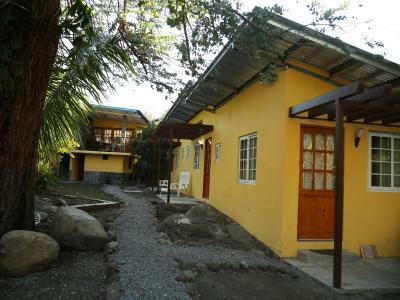 The hostel is just what we needed as a jumping off point for hikes. Staff was very friendly and helpful. They gave us tips for hiking and we even ended up seeing a Quetzal on the trail they recommended (pipeline trail). The kitchen was very well stocked and exceptionally clean. 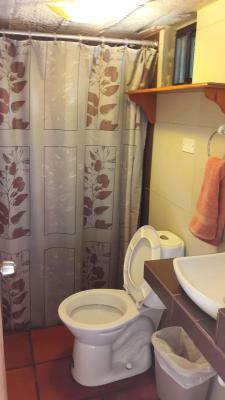 The room and bathroom were clean as well. In our room there was a big board where we could put all our stuff which was very helpful. 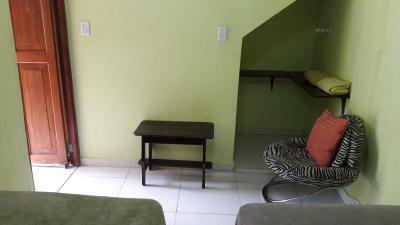 The hostel is close to the bus terminal, supermarkets, and restaurants. The public market, where you can buy fruits and veggies is also close by (ask for Mercado Público). They can do your laundry and there's tons of clothline to dry your clothes. There's also a space where you can clean your shoes after a hike. Would stay there again. Cozy stay, nice staff. Big plus was that we (as a group) were able to have a mass inside the place. They had a laundry service an was able to ask them to book you a transport or a tour. Nice garden and terrace. One of our best sellers in Boquete! 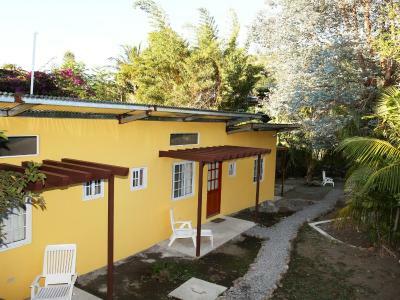 Located in central Boquete, Hostal Gaia offers its guests private and shared bedrooms, free Wi-Fi connection throughout and luggage storage. 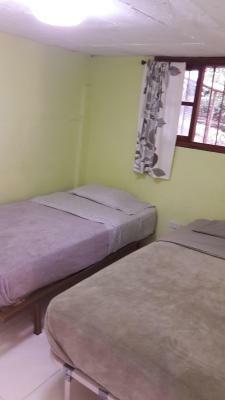 The hostel also has safety deposit boxes and the front desk operates 24 hours a day. The simple decorated bedrooms have tiled floors and wardrobes or lockers. 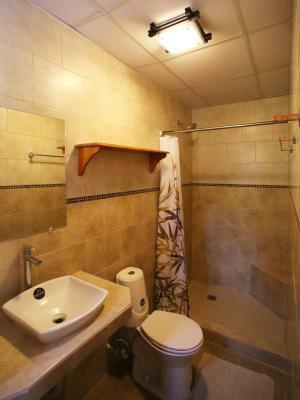 Bathrooms may be private or shared, but they all offer free toiletries. 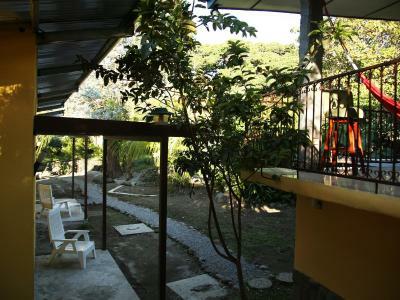 The coffee service is included with the room rate at Hostal Gaia. 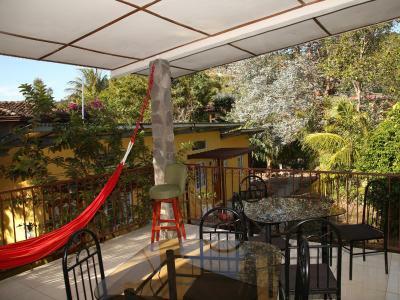 The property has a shared kitchen that all guests are welcomed to use, and within 150 feet are several restaurants that serve characteristic local dishes. 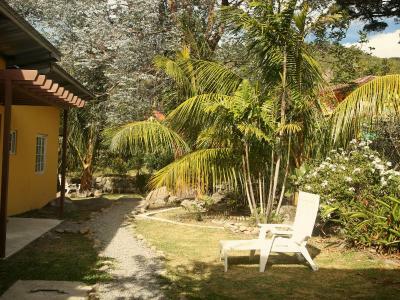 Hostal Gaia can help the guests with the arrangements to go sightseeing, as well as going hiking, rafting and horse riding. A popular activity that may be practiced in the area is canopy. The bus station is 5 minutes’ drive from the hostel, and Enrique Malek International Airport can be reached in 50 minutes by car. 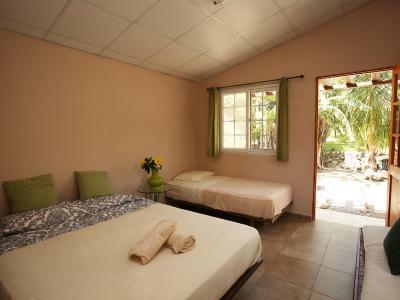 When would you like to stay at Hostal Gaia? 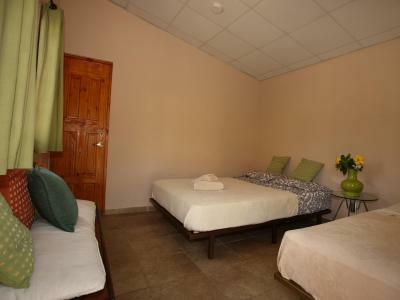 This room has 2 double beds, private bathroom with shower and free toiletries, plus a wardrobe. The coffee service is included. 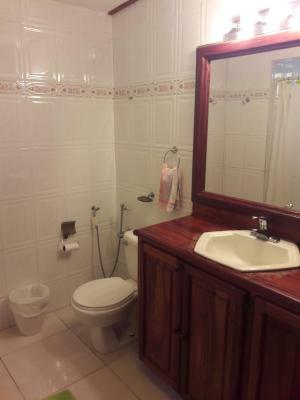 This room has a queen bed, private bathroom with shower and free toiletries. This room has 6 single beds distributed in 3 bunk beds, the bathroom is shared and offers free toiletries, plus lockers are available. The coffee service is included. House Rules Hostal Gaia takes special requests – add in the next step! 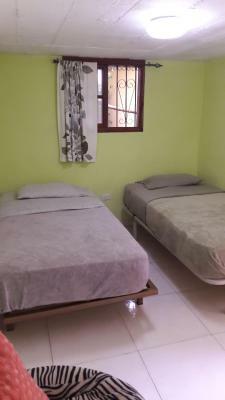 One older child or adult is charged USD 17 per person per night when using existing beds. Please note that the 100% of total amount of the reservation must be paid in advance. 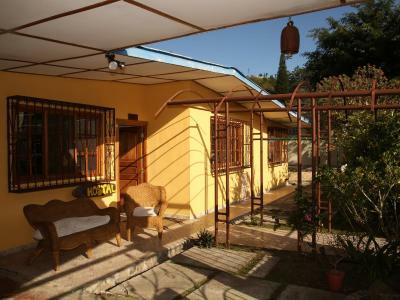 Once a booking has been made, Hostal Gaia will contact the guest directly to arrange payment by bank transfer. Please note that the reception is closed from 23:00 hours until 7:00 hours. Guests arriving outside reception opening hours are kindly requested to inform Hostal Gaia in advance. Contact details can be found on the booking confirmation. Rooms were a little small but youll want to be out and about anyways. 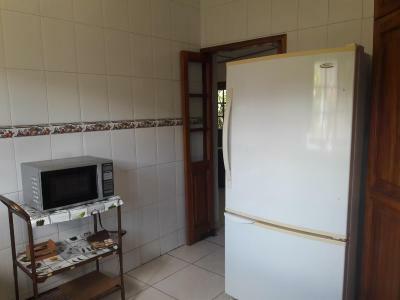 Small kitchen with poor appliances. Ceiling makes noises when there are strong winds. Didn't bother me though. Bad WiFi signal in our room. Centrally located but still very peaceful. I lovely stying here. The water of hot shower is really good. The bed is really comforterble. Maybe it would be even better if they offer breakfast. It was queit when I was there so it was very nice to be the only person in the dorm. 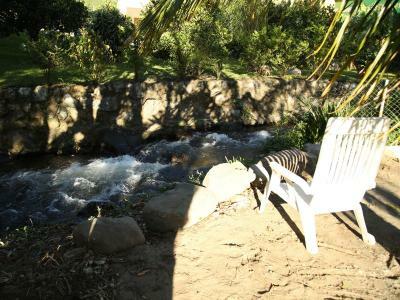 The garden they have is really nice and a perfect plxe to read a book in peace. 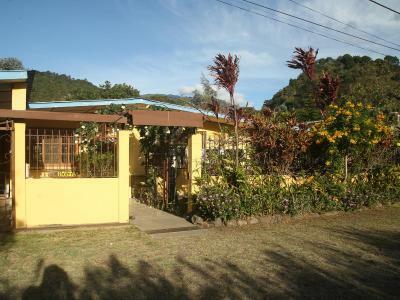 In the residental prt of the town, but just a 3-minute walk to the center of town. The room was right next to a road with public buses which made it really noisy. There was a window with no curtains and we couldn't sleep well because of the outside light coming from it. As it was the Feria de las Flores y del Café, although it was Sunday there was music playing loud nearby until late. We couldn't rest as well as we wanted before climbing the volcano because of the localization of the room. I think rooms that are not next to the road were more quiet. The bed was very hard. The room was really basic, not very pretty. The guy in charge of the hostel in the evening was always difficult to find. The hostel is not too close to the main road, which made it a bit more quiet than others for sure. The lady who received us in the morning was very friendly but could not give us much information about the hike to Barú. Great Staff..comfortable..clean washrooms..lots of hot water..good cooking facilities..nice patio. 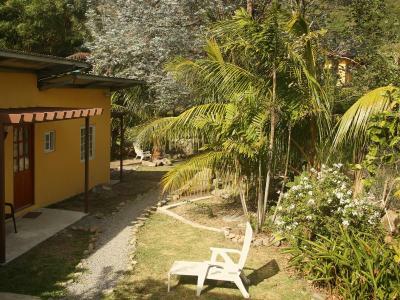 I chose to go to this hostel especially because of the reviews that said it was a quiet peaceful hostel, near a river and surrounded by garden. For me, the 'noise' of downtown, in Panama - and most of Latin America - is not only traffic noise. It is also the constant noise of loud Latin American music playing wherever you go - including when you are a prisoner on a bus (even including the bus that runs between Boquete and David). 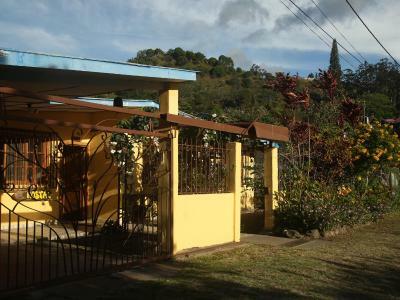 So it was a huge disappointment for me that workers (or the owners, perhaps) who were working on the property (building/painting new rooms, or upgrading) we’re playing loud Latin American music, on radios or cellphones - during all the days that I was there, until quite late at night. As well as that, a group arrived that were music entertainers (going to play for a fee at a local venue)and they were in the dorm next to where I was. While they were there, they took over the large sitting room, outside the dorms, to do their music practice - loud Latin American music. 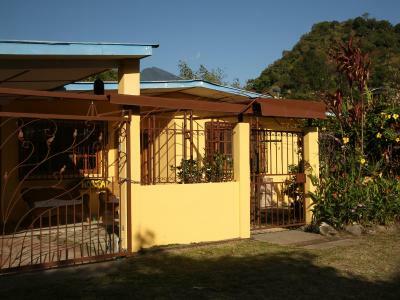 Both of the sources of loud Latin American music made me want to leave, although I loved the facilities at the hostel and where it was situated. It was only quiet and peaceful late at night! 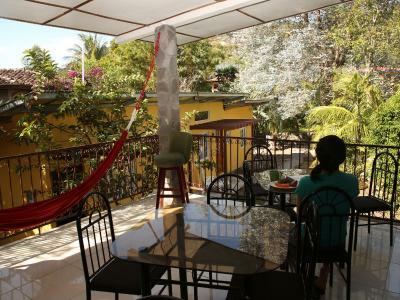 If a hostel is rated as quiet, the owners should be aware that the playing of loud Latin American music (on equipment, or for real) takes away the peacefulness that guests have chosen the hostel for. Like several other reviewers, I loved the way the location was quite close to the centre of Boquete but in a very quiet location. What I especially liked was the large sitting room, outside several dorm rooms - with large comfortable sofas, and also with a large table, plus chairs - where it was possible to get very comfortable to do quiet things, instead of having to sit on a bunk bed all the time, to get away from noise, as is the case in many hostels. 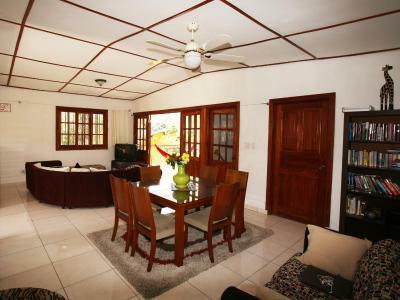 There is also a good kitchen, and a nice table to sit at, near the kitchen/reception - plus an outside seating area for eating. A special bonus for travellers is being able to hang wet washing outside on lines (with pegs available), where the constant Boquete breeze does a good job of drying washing very quickly. Almost useless Wi-Fi, nothing liked it.